Is Apple falsely advertising 4G on its iPads in Australia? 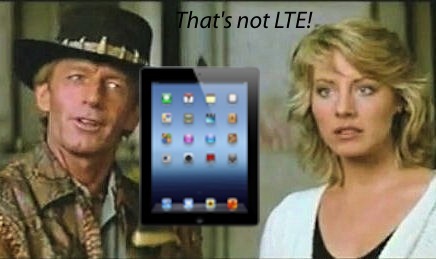 Optus and Telstra do not use the compatible LTE radio frequencies as Apple’s iPad; therefore, new iPads are not compatible with the LTE 4G networks in Australia. Both mobile carriers already dropped the “4G” naming on the new iPad on their websites. However, Apple does display “iPad +4G” on the Apple.com.au website. More importantly, it does not look like Australians play high and fast with marketing terms like “4G” as we do here in the United States, which now describes HSPA+ on AT&T iPhone 4S’s. With the relatively small footprint of LTE providers able to run with the iPad’s LTE Radios (almost all of Europe’s LTE will not work), we might see more of these types of actions.